Book cover ‘En De Se Wie Net Maer’ by A.A. van der Werf1. Another holiday is coming up. Another book recommendation for the armchair dredger. Well, Christmas, New Year’s Eve, a lot of preparations in just too short a time. Probably too little time to read a book. That fits, today’s book under review is only partly interesting from a dredging perspective. 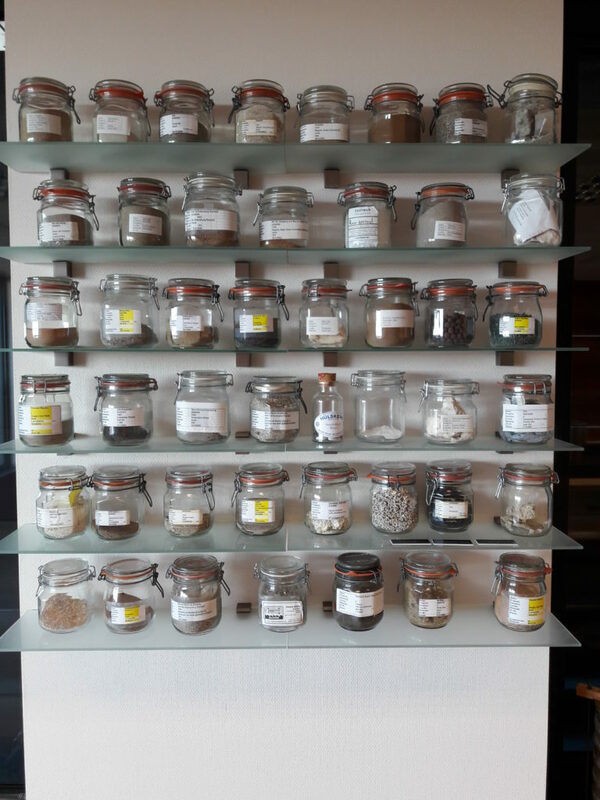 It is about the reclamation of the Noordoostpolder. Moreover, it is written in Frisian. So, also only a selected part of the audience will be able to actually read it. Then, why recommend it anyway? Because it will give you a good anecdote at the dinner table, where you can proudly illustrate the ingenuity of us in the dredging industry. First some introductory details about the Noordoostpolder3. A polder is reclaimed land by isolating it from the sea by a dike and pumping the water out4. It provides cheap land with relative little soil movement, only the dike. In the early twentieth century, the Netherlands needed lots of land for a rapidly expanding population, agriculture and industry. 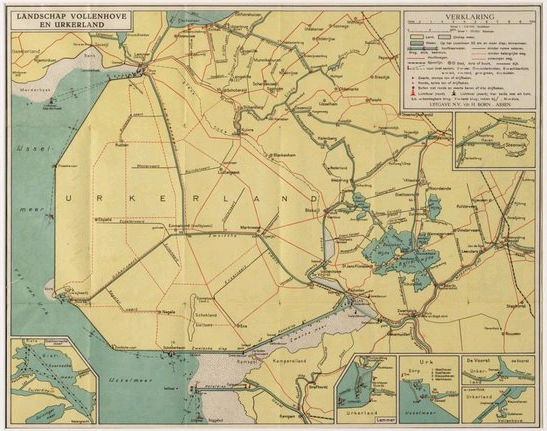 The first real big polder was the ‘Wieringermeerpolder’. And the ‘Noordoostpolder’ was the first real IJsselmeer polder, as it was started in 1936 after the closing of the ‘Afsluitdijk’. Work continued well into the second world war. And part of the book is about the interaction of the German army, the Dutch people and the resistance. Due to this storyline, the book is also, part fact, part fiction. Canal dredging in the still submerged Noordoostpolder. One fact in the book was right. In the polder, you would need canals for drainage, irrigation and transportation. And the easiest way is to dredge it. Although not a real historic account of the events, the book does contain pictures of the project. And in the picture above, you can see something special: a bucket ladder dredge with a pipe line! Normally a bucket ladder dredge5 would load barges, but the very shallow lake and the narrow canals were not facilitating easy handling of the barges. In these cases, they used some sort of soil pump. In the above picture it cannot be seen, but in the archives of my work, we have lots of pictures of them. Basically they are big boxes with jet nozzles and dredge pumps connected to a discharge line. The end of the discharge line could be positioned over the location of future roads and effectively deposit the foundation of the road. Soil pump ‘GP3’ by De Groot Nijkerk, at work in a narrow canal, here loaded by drag lines. Nowadays, you would probably use a barge and suspend a DOP in it6. Unfortunately, the second world war intervened. Still, the German occupation brought the project to a conclusion. The story details about the contractor (‘Verhei’*) not willing to cooperate with the occupier after the project. 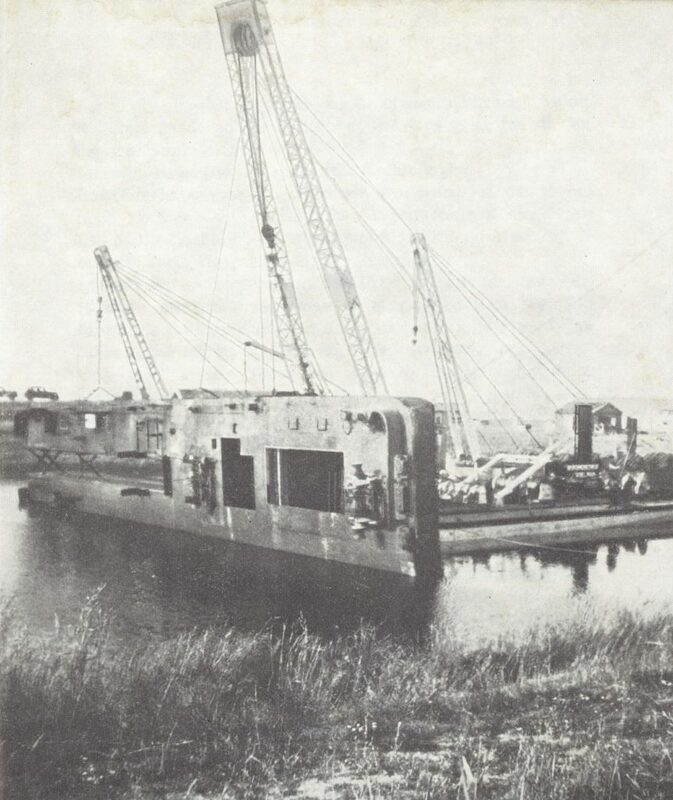 So, he had his dredge (‘Holland’*) enclosed within the dike. There were locks in the dike, but the pontoon was too wide for the locks. 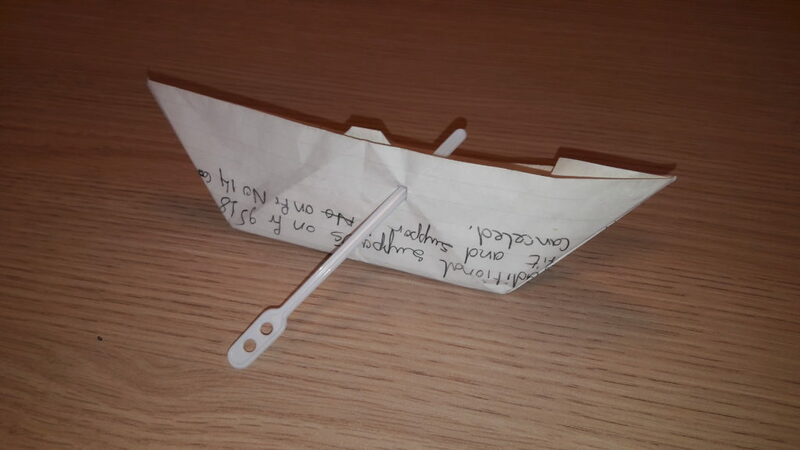 This prevented the confiscation of the dredge. After the liberation, the dredge was still there, and everybody was laughing at the contractor, as his dredge was hemmed in the dike. It turned out , he outsmarted them all. He removed everything above the deck line and with two floating gantries he coaxed the pontoon through the locks on its side! Pontoon of bucket ladder dredge ‘Holland’* on edge for lock passage. *Names are fictionalised by the author, but he states that the described events did really occur as described. Summer is in full progress. People are already taking holidays. 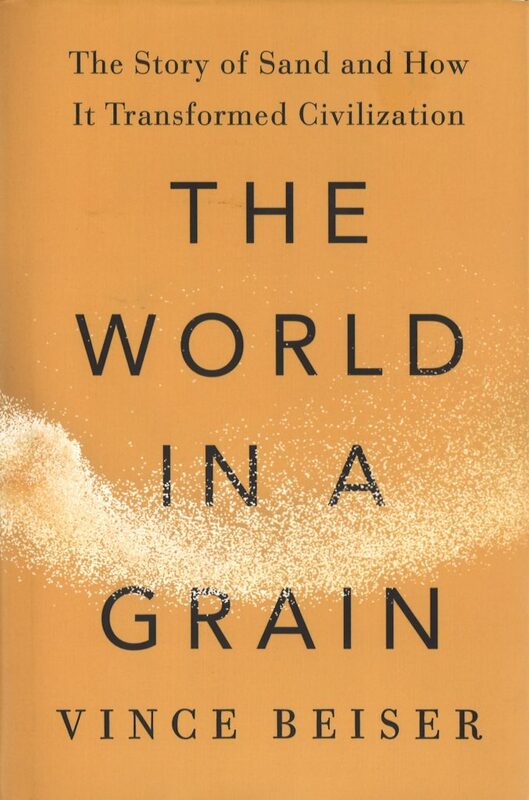 So, it is time for another book recommendation to take with you and pass your leisure time. 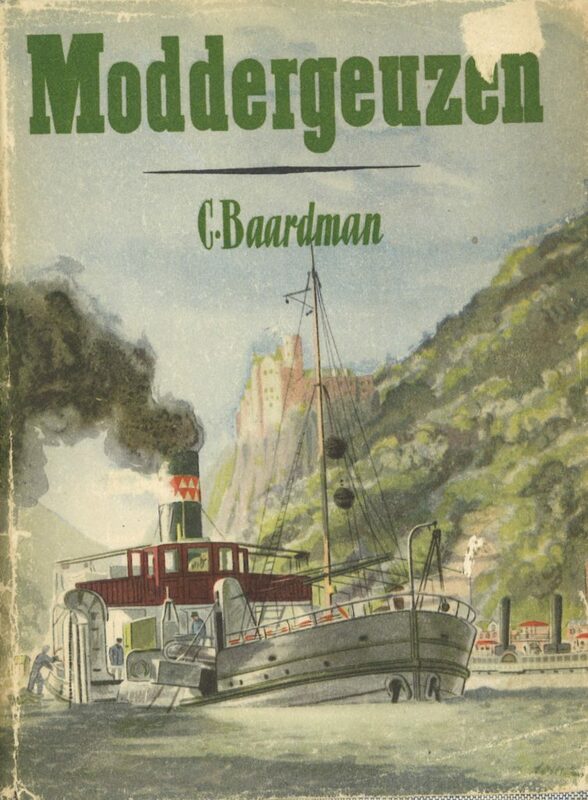 Another favourite book from my dredging library is ‘Moddergeuzen’, or ‘Mud Beggars’, by C. Baardman1. However, the English translation doesn’t convey the right feeling about it. In Dutch the ‘Geuzen’ were patriotic nobleman, who fought against the Spanish oppression in the 80 year war2. Beggars sounds so derogatory. That is also one of the topics Baardman addresses in his book. The old trade handed down from father to son, versus the new developments in culture, where education and knowledge gains momentum in the dredging industry. Another topic is the continuous inequality between the crew members on the one hand and the people from the office on the other hand. 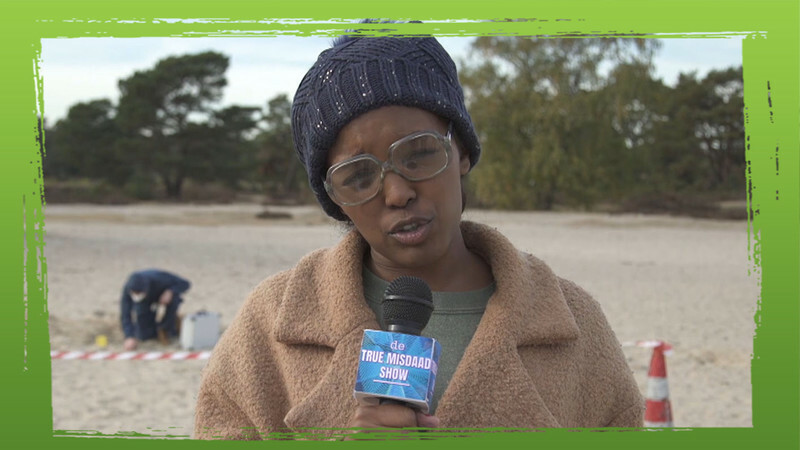 Regularly, socialistic thoughts are proclaimed by the crew members, but Baardman voices his idea about social improvement through the characters of Leen and Jan Hoornaar. They are the first glimmers of a work council in the industry. Another social phenomenon is the ever present religious group, that tends to be very conservative. 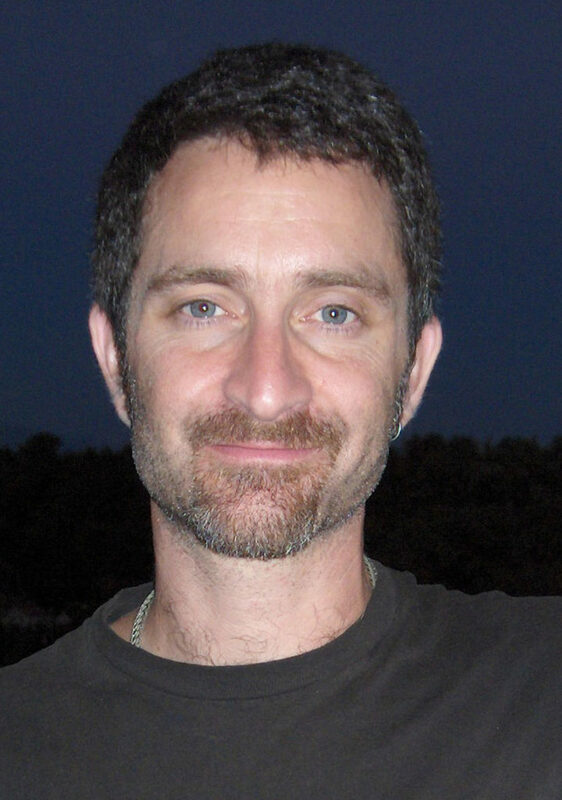 Still, Baardman would rather identify himself as a religious writer. However, his concern to get the message across, but be careful not to look over zealous often made his books read like a regional novel4. Well, regional is hardly applicable. Just as the dredging industry expanded all over the world, the stories in the book take place in all the now familiar dredging markets: China, Germany, Belgium, France, Rumania. Particularly the storyline in Hamburg was very interesting, as this is also the same time and region where my great grandfather has been working for some time (another story for later). The descriptions about how they must have travelled to and from the project where very illustrative. Also the pranks they pulled on each other, or more precise on the youngest person on board where very familiar. I’ve heard the story of the coxswain being ordered to fry the cucumber, before. I don’t know if pranks are banned today. At least I don’t hear them so much anymore. Times have changed. So, were the changes described at the story time in the book. Shure, there were a lot steam driven bucket ladder dredge in the adventures. And they do bring most of the exciting adventures. However, modern equipment was on the rise. 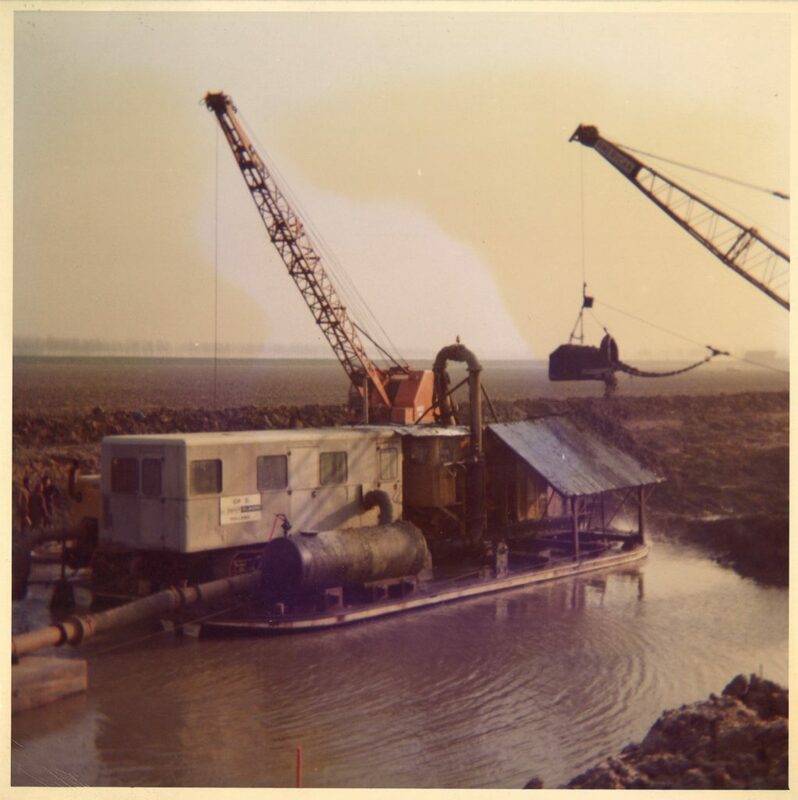 Plain suction dredges and the first hopper dredges also feature in the book. Remember, hopper dredges at that time were still stationary. Free sailing trailing suction hoppers came much later. 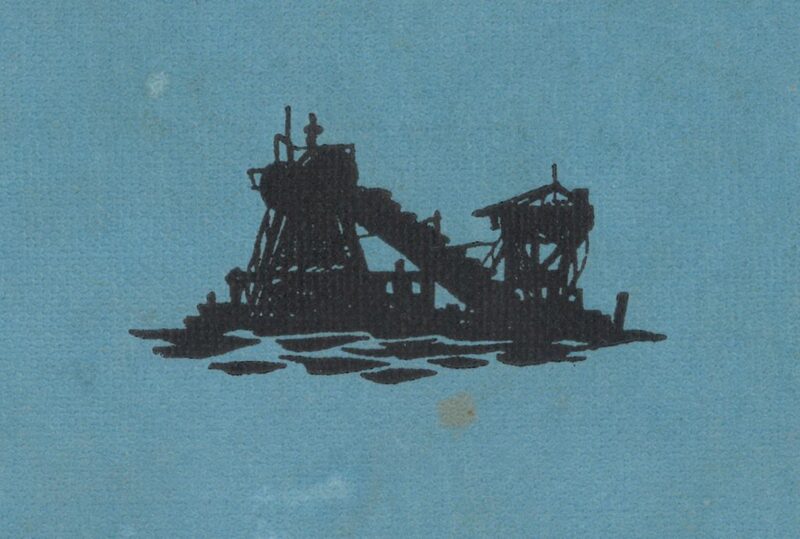 The dredge on the cover is a nice example of early twentieth century dredge design. 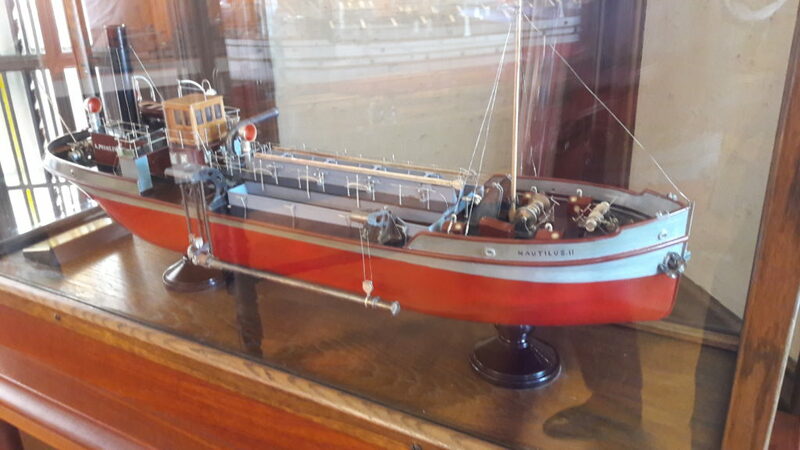 As it happens, the National Dredging Museum in Sliedrecht has model, that looks very similar to the one depicted.